February 21, 2018 (Joseph Thomas - NEO) - As the United States intensifies its accusations against Russia for alleged interference in the 2016 US Presidential Elections, the United States itself is found engaged in confirmed political interference worldwide. This includes in Southeast Asia where Washington is attempting to rush elections in Thailand in hopes of returning their proxy Thaksin Shinawatra and his Pheu Thai Party (PTP) to power. US efforts to rush elections have included a concerted effort to dismiss those pointing out Shinawatra's continued influence in Thai politics, his continued leadership role over PTP and his intentions to use PTP to return to power. 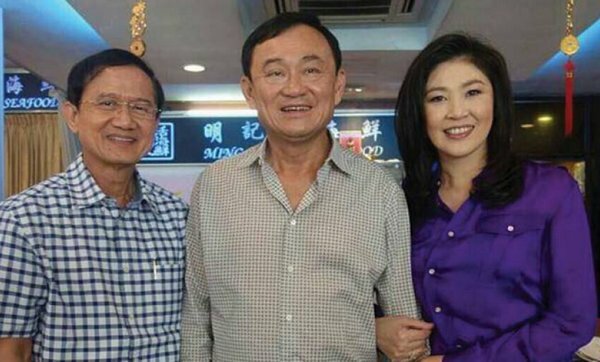 However, Reuters in an article titled, "Thai ex-PM Thaksin calls for party unity ahead of promised election," would openly admit Shinawatra, a convicted criminal and fugitive, still controlled PTP whose leadership met with him recently in Hong Kong. Fugitive former Thai Prime Minister Thaksin Shinawatra met lawmakers from his Puea Thai Party in Hong Kong where he called for party unity ahead of an approaching general election, party members said on Monday. Many are watching to see how Puea Thai Party performs in a vote which the military government has promised to hold in November but which could be delayed. The necessity of repeated delays of Thai elections is very straightforward. Thaksin Shinawatra, a convicted criminal and fugitive still seeks to contest them through PTP. Allowing a fugitive to contest elections would be illegal and any election outcome influenced by a convicted criminal and fugitive would be illegitimate. By delaying elections, the current Thai government hopes to continue diminishing Shinawatra's unwarranted influence and wealth as well as that of his political network inside Thailand until both are no longer an obstruction to legal elections. Yet despite this straightforward necessity to delay elections, the United States and its European partners have repeatedly demanded rushed elections. Additionally, the US and its European partners are funding myriad opposition fronts ranging from media platforms to street protests to place pressure on the current Thai government to rush elections while it is believed Shinawatra and PTP still have a chance of winning. The US accuses Russia of political interference based on activities of the Internet Research Agency a recent FBI indictment insinuated was linked to the Russian government. While no actual evidence has surfaced linking the organisation to the Kremlin, the US not only possesses its own organisations for the purpose of political interference, they are openly funded by and linked directly to the US government. 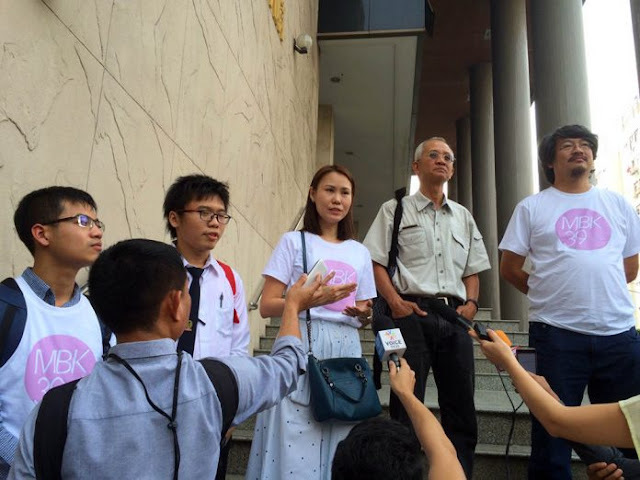 In Thailand, the United States government through the National Endowment for Democracy (NED) is funding media organisations like Prachatai which promote daily protests and demands for immediate elections. Shinawatra also controls his own media organisations inside of Thailand. This includes VoiceTV supposedly founded by his son, Panthongthae Shinawatra, but clearly serving his father's political agenda. 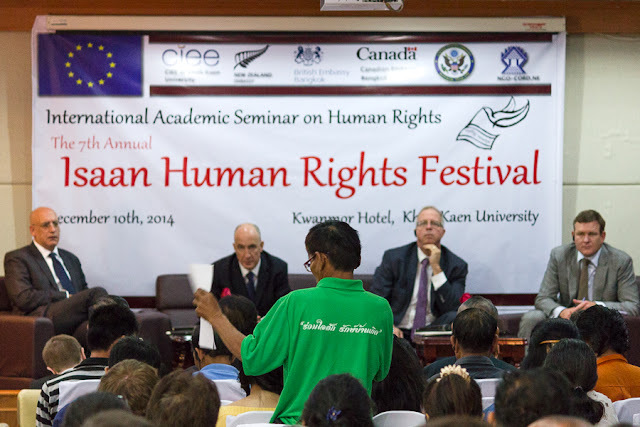 Supposed rights advocates like Fortify Rights (page 20, .pdf), iLaw, Thai Lawyers for Human Rights (TLHR), Cross Cultural Foundation, Thai Netizen Network and Isaan Record are also all funded by the US government via NED and have not only contributed toward attempts to manufacture dissent, but have also led small protests in the streets themselves. Anon Nampa of US-funded TLHR has repeatedly led anti-government protests demanding elections while concurrently representing fellow protesters in court cases, calling into question the supposed impartiality his organisation claims to represent. Protesting alongside Nampa are members of Thaksin Shinawatra's own street front, the United Front for Democracy Against Dictatorship (UDD) also known as red shirts. This includes UDD organiser Sombat Boonngamanong and dedicated red shirts like Yupa Saengsai. The UDD red shirts have committed serial acts of violence and terrorism including gunning down two shopkeepers while committing widespread arson and looting in 2009, the use of some 300 heavily armed militants during protests in 2010 which led to nearly 100 deaths and also ended in widespread arson and looting, bombings including that of a Bangkok hospital and a terrorist campaign aimed at anti-Shinawatra protesters in 2014 that left nearly 30 dead. 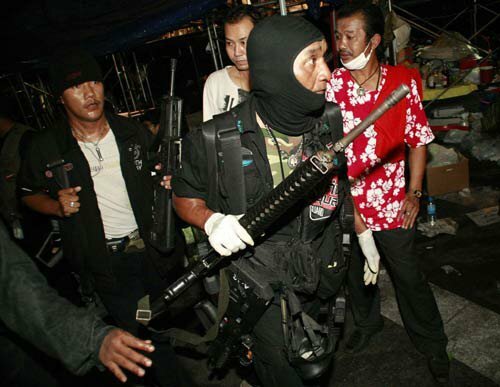 With the reemergence of Shinawatra's red shirts on the streets, observers have warned that violence is imminent. Yet despite this, efforts by the Thai government to arrest leaders and prevent another round of instability and violence have been decried by the US government and its European partners as well as US-funded fronts like Prachatai, TLHR, Fortify Rights and their partners in corporate foundation funded fronts like Human Rights Watch and Amnesty International. Under the guise of "human rights," "freedom of assembly" and "freedom of expression," these compromised organisations representing concerted foreign meddling in Thailand's internal political affairs are setting the conditions for another attempt at violently subverting Thailand's stability and political order. This reflects a similar pattern seen elsewhere around the globe where the US pressures nations into holding elections Washington is confident its proxies can win. Should those elections fail to place Washington's proxies into power, or be delayed, the US then organises increasingly disruptive street protests, then violence, before more directly involving itself in "regime change." Thailand's longstanding political crisis centres around former prime minister Thaksin Shinawatra, ousted in a military coup in 2006, and who has attempted to return to power through a number of proxies including his own brother-in-law Somchai Wongsawat and his sister, Yingluck Shinawatra. His sister too was removed from power by a military coup in 2014 after she attempted to amend the nation's constitution to return her brother to power. Thaksin Shinawatra's administration represented the peak of US influence in Thailand. Between 2001-2006 Shinawatra privatised Thailand's natural resources including its oil and gas reserves for the sake of US energy giants, committed Thai troops to the US-led invasion of Iraq in 2003, approved of Washington's use of Thai territory for its extraordinary rendition programme and attempted to pass without parliamentary approval a free trade agreement with Washington that would have granted American corporations and financial institutions unprecedented access and control over Thailand's population, economy and resources. Shinawatra and his sister are both convicted criminals. Both have fled the country, evading a 2 year and 5 year prison sentence respectively, making them fugitives as well. Thaksin Shinawatra has allegedly been based in Dubai, the United Arab Emirates while his sister is supposedly being given safe-haven in London, UK. Since Shinawatra's ousting from office and his multiple failed attempts to return to power, Thailand has shifted its economic and foreign policy more inward toward Asia, including fostering greater ties with China. This includes Thailand replacing its ageing Vietnam War-era US military hardware with Chinese armaments. 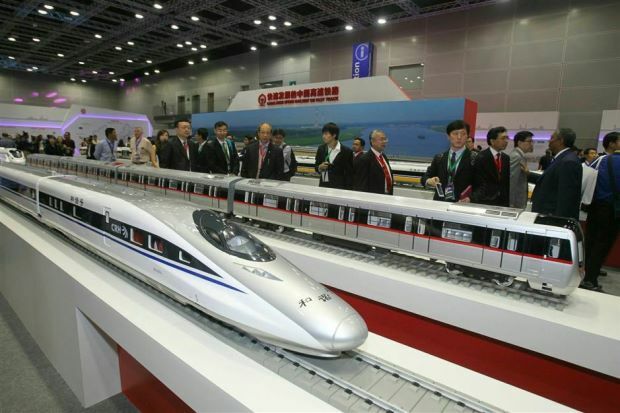 It also includes massive infrastructure deals signed with Beijing including high speed railways that will link major Thai cities as well as Thailand with both its Southeast Asian neighbours as well as China itself. Thailand is also forging stronger ties with its immediate neighbours in Southeast Asia in both economic and political terms. This includes cooperating with neighbouring countries in their own battle against US political meddling. Thailand's immediate neighbour to the east, Cambodia, recently asked for the repatriation of opposition members of the Cambodia National Rescue Party which was recently revealed to have colluded with the United States to seize power. It is clear why the US is determined to reverse its diminishing fortunes both in Thailand, and in Asia in general. Meddling Industrial Complex: Diminishing Returns? US attempts to meddle in Thailand's internal affairs depends on a small but loud and well-funded number of neoliberal Thais educated in the US and Europe and working for US and European institutions, media platforms and foreign-funded organisations. It also depends on Shinawatra's waning support base in northeast Thailand (referred to as Isaan) where his popularity depends on constant, unsustainable populist handouts. The diminutive protests held so far are owed to a lack of genuine support for Shinawatra. Protest leaders even admitted that without supporters brought in from Shinawatra's political stronghold upcountry, protests would remain limited. Sirawith [Seritiwat] said that many protesters upcountry had been blocked from traveling to the capital. “If the authorities were really brave, then take out those blocks and we’ll fill all of Ratchadamnoen!” he said, referring to road blockades reportedly erected to prevent people from traveling to the capital. In actuality, there were no roadblocks, only bans on political activities, including Shinawatra's PTP's use of chartered buses to bring subsidised villagers to Bangkok as it has done in past protests. Should PTP pay villagers to board chartered buses now, they may face a political ban, finally barring them from elections. That an entire opposition movement exists in Thailand solely because of the money and directives of the United States and their proxy Thaksin Shinawatra, is an example of the blatant and extensive political interference Washington is engaged in around the globe as it accuses and attempts to punish Russia for interference and collusion in its own internal political affairs. More than mere "influence operations" as the FBI's indictment claims regarding Russian meddling, the US is creating entire opposition movements, from media platforms to street fronts to lawyers designated to defend members of the movement as the government arrests and charges them for sedition. For nations like Thailand facing extensive US meddling, one possible recourse might be to take pages from Washington's own rhetoric and punitive measures aimed at Russia, and apply them to US efforts aimed at Bangkok. Vigorous laws targeting US-funded fronts in Thailand posing as nongovernmental organisations modelled after laws the US itself has created and used against Russian media could be one example of this. However, Bangkok may also decide a more patient and reserved approach, simply delaying elections, weathering US-manufactured dissent and stretching out protests until they expose and exhaust themselves.